Floating through a tranquil river, a huge canopy of shade overhead, and suddenly a bird lands right next to you. That’s the idea of the all new attraction at Aquatica San Antonio, Roa’s Aviary. 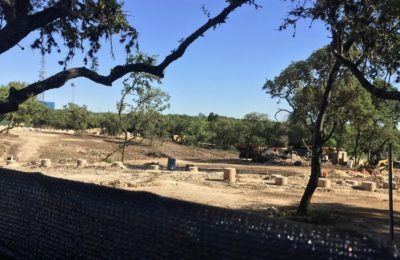 The aviary is the first major attraction to open at Aquatica San Antonio since it’s grand opening in 2012, and it’s going to be huge! Crews have been working around the clock to make sure that the area is ready for guests, and just yesterday, some finishing touches have been made! The park’s official Facebook page (click here) has released some very cool images showcasing the all new aviary. The first being the official logo. While aviaries are nothing new for SeaWorld, with a huge free flight aviary already open at Discovery Cove, what is new is how you can enjoy them. This new aviary will give guests the chance to float through on inntertubes, and either swim around or just lay back and enjoy. Also, crews have installed several of the finishing touches, including the sign for the new attraction. Roa’s Aviary is on schedule to meet it’s opening date of May 24th, just in time for Memorial Day Weekend. The all new attraction will feature not only a float through a huge free flight aviary, but also about 300 birds, and the chance to interact with all the birds as well. The area will also bring a relaxing lounge area to the park, where guests can just hang out and enjoy a drink or relax in the pool. 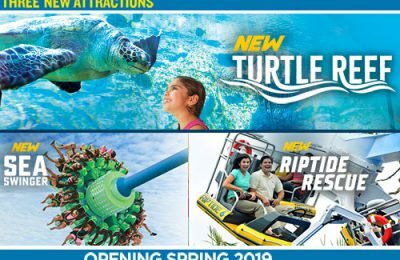 Stay tuned as we bring you even more from Aquatica San Antonio, and be sure to follow along with us on Twitter @BehindThrills for the latest updates! 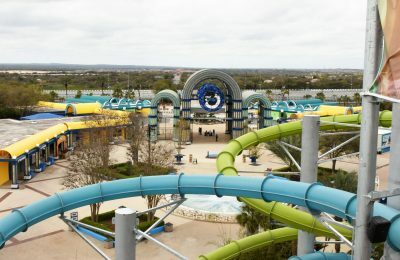 Do you want to enjoy a day at both SeaWorld San Antonio AND Aquatica for one super low price, plus Quick Queue and lunch? Click here for a very special, limited time deal!